Great cul-de-sac location in Westborough backing to neighborhood trail. Open light filled floor plan with plenty of storage including an oversized 2 car garage. 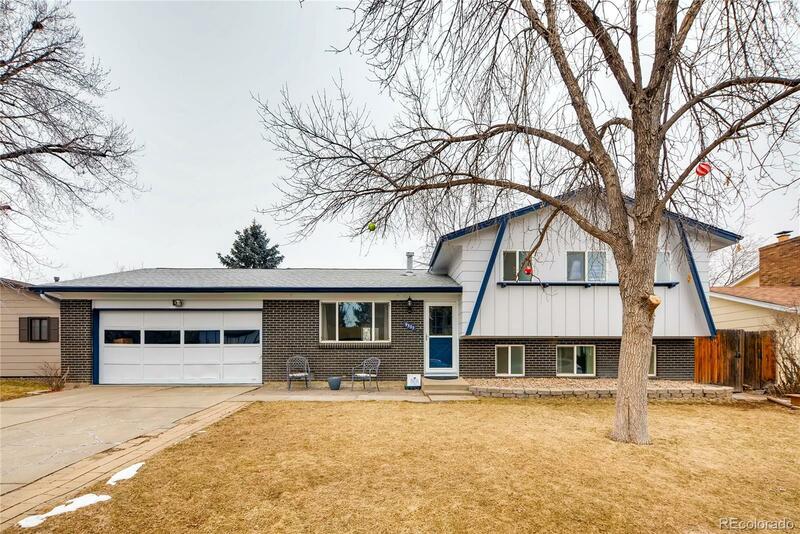 Updates include double paned windows, sliding glass door, furnace, lighting fixtures, updated electrical wiring, central air conditioning, whole house attic fan and a radon mitigation system. Fenced back yard with large concrete patio for dining and relaxing, paver patio with built-in fire pit for those chilly nights, utility shed and play structure. This is a very nice location allowing your kids to play in the cul-de-sac without traffic concerns and an extra bonus of great neighbors! Walking distance to trails, Bear Creek Schools, K-8, High School and neighborhood park. Near Carmody Recreation Center, awesome Bear Creek Lake Park with miles of hiking, biking and horse trails, Homestead and Fox Hollow golf courses and more. Easy access to shopping, bus line, the mountains and highways 285/Hampden and 6th Ave.